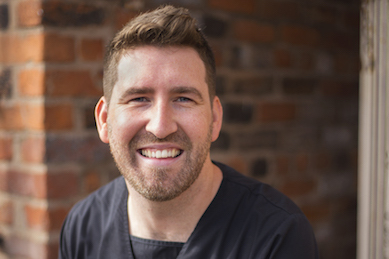 Colin has been a dental technician for over 16 years, individually crafting dentures, implant retained dentures and implant screw-retained bridges. Colin decided to set up his own private dental laboratory ‘Active Dental Lab’ over 8 years ago which has gone from strength to strength. He has also joined the team at Dental Solutions and holds regular surgeries at the clinic. His passion for dentistry led him back to university for 2 years to qualify as a clinical dental technician. This means Colin can now treat patients face to face in conjunction with making their appliances. Patients can now receive the best possible treatment as Colin is here to look and listen to what the patient wants and is then able to go back to the laboratory and personally produce what was discussed. Colin graduated from the University of Central Lancashire by the Royal College of Surgeons of Edinburgh. Colin’s passion and obsession are making dentures to the highest standard- dentures that look natural and are designed to blend and disappear in the mouth. He helps to give patients back the confidence they had before they lost their natural teeth. Seeing patients smiles and reactions when they receive their new teeth is what drives Colin and gives him the motivation to keep up with today’s technology and always learn the very latest skills and techniques. Colin is very friendly, approachable and is happy to answer any questions you may have about dentures. Outside of work, Colin loves to spend as much time as possible with his gorgeous 2-year-old son Oscar, his amazing wife Victoria and his buddy- a 7-year-old black Labrador called Penny. Colin loves being outdoors as much as possible hence sailing, walking, camping in the Peak District and being an obsessed golfer are all important passions.